This week, I am continuing my discussion on the treatment of flat feet in teens and adults. We are now ready to discuss treatment options. In basic terms, there are two options for treatment, as there are two basic types of flat feet. The options are supportive shoes and prescription orthotics inserts, and surgical reconstruction. The two basic types of flat feet are flexible and rigid. Flexible flat feet (which are most common), can be pushed and held out of a flat position. Rigid flat feet are stuck in that position, due primarily to the inflexibility of a deformity that is mostly bone-in nature. Today I will discuss shoes and inserts, which are primarily helpful for most cases of flexible flat feet (but not rigid flat feet). Over the last fifty to sixty years, our understanding of how the foot functions mechanically have grown significantly. The mechanics of the foot are complex, and not easily measurable by direct means given the complexity with which the various joints work together to push us forward. Our current understanding of this function is advanced, but not perfect. Regardless, the development of the field of foot biomechanics has led to the development of the prescription functional orthotic, a device that has made it possible for countless people to enjoy their lives foot pain-free, or at least with considerably less pain. This device is not the same as over-the-counter arch supports found in stores and TV commercials nationwide, and it is not the same as pricy off-the-shelf plastic inserts masquerading as ‘orthotics’ in numerous national retail chains. A prescription functional orthotic is a medical device that is made of a plaster mold or 3D laser scan of the foot. This mold or scan is created while the foot is being stabilized in a mechanically neutral position, otherwise known as the subtalar joint neutral position. In this position, the foot is neither in a flat orientation nor a high arch orientation. It is roughly a position that research has determined should be the model resting position of the foot, when the foot has stopped rotating inward or outward during the walking cycle. 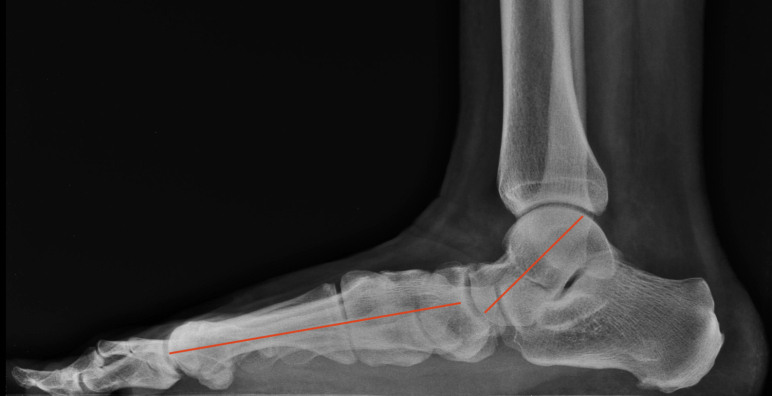 Many different factors contribute to getting the foot in this position, as the foot has numerous ways of compensating for any variation in structure between one part of the foot and another. A true functional orthotic takes into account these variations, and subtle ways of angling or shaping the insert arise in the prescription process that makes the resulting orthotics function even better. Because these inserts are constructed based on the specific foot mold or scan, and slightly altered based on a complete biomechanical exam of the foot and lower leg, they will actually correct abnormal foot structure in a predictable way. Over-the-counter inserts simply shove wads of padding or plastic into the arch blindly and hope it will be close enough to give proper support to the foot. These kinds of inserts are usually comfortable and do provide more arch support that a shoe alone can give. However, they do not provide the exact level of foot structure control that a condition like flat feet often requires. Only prescription orthotics can fill this role completely. The use of prescription orthotics allows for stabilization of the flexible flat foot when worn from shoe to shoe. This device reduces much of the strain the bottom of a flat foot endures with standing and walking, and it can indirectly slow down the progression of flat feet related deformities, like bunions and hammertoes, by correcting the underlying cause. The proper choice of the shoe also contributes greatly to this treatment. In general, people with flexible flat feet need a shoe constructed with that foot structure in mind. A better choice of shoe is one that is only flexible at the ball (front) of the foot, and not in the middle of the foot. It should have a stiff sole, a stiff area that cradles the heel, and should be wide enough that the sides are not tight against the foot when it widens out as it flattens. Most importantly, it should fit the orthotic and be comfortable to wear after many hours of activity. For the vast majority of people with flat feet, a prescription orthotic and supportive shoe will be sufficient treatment, much like eyeglasses or contacts are sufficient for those with vision impairment. However, those that have rigidly flattened feet are not generally helped by orthotics, as the foot must be flexible for the orthotic to change foot structure. There are also times with flexible flat feet in which orthotics do not provide enough support to control pain symptoms. In these cases, the physical structure of the foot needs to be permanently changed to relieve pain and improve foot function. Next post, we will discuss surgery to treat flat feet and some of the advantages and pitfalls of that approach.